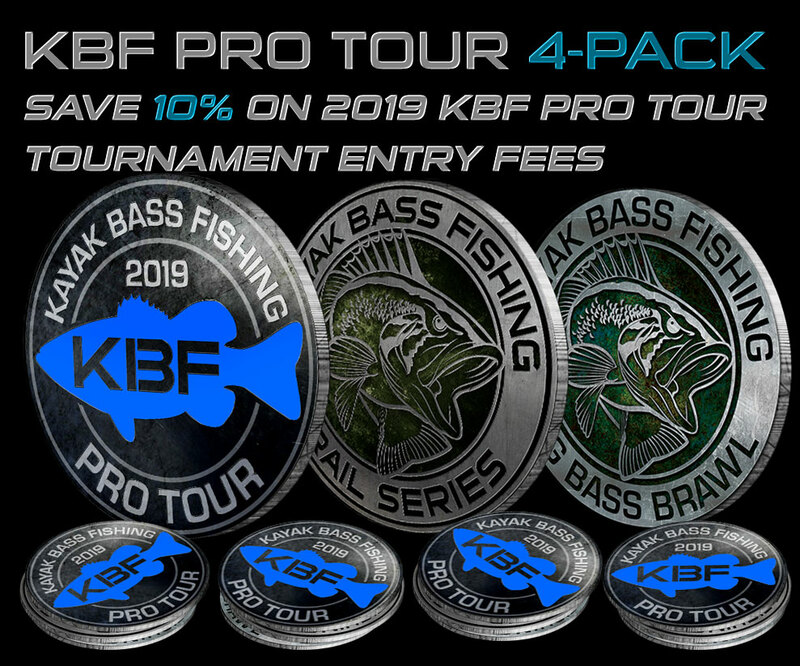 KBF Pro Tour is not a membership level, per se, but a special program available to KBF Lifetime Members and 2019 KBF Competitor Members that offers competition against other Pro Tour participants at KBF TRAIL Series Tournaments. KBF Pro Tour Registration Fee is $200 per season. Each calendar year ends 12/31. 50% of the Pro Tour Registration Fee covers program administrative costs, and 50% goes into the Pro Tour Championship prize pot. In addition to the $75 KBF TRAIL Series Entry Fee, KBF Pro Tour Event Fee is $250 per tournament. 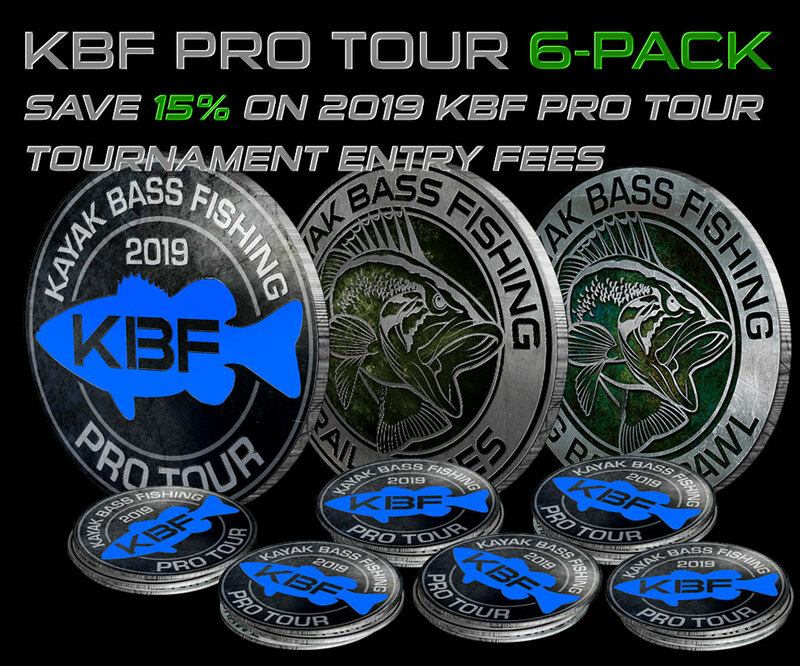 KBF Members on the Pro Tour register for each KBF TRAIL Series Tournament through the Tournament Management System and pay the customary $75 TRAIL Event Entry Fee. They then register through the KBF Online Store to compete against other Pro Tour participants at the KBF TRAIL Series Tournament, similar to how they enter each KBF Big Bass Brawl. $10 of the Pro Tour Event Entry Fee goes toward credit card transaction costs, tournament management system fees, and administrative costs. $60 is added to the Pro Series Championship prize pot (along with half of the Pro Tour registration fee). The remaining $180 is paid out as cash prizes, as shown in the 2019 KBF Pro Tour Payout Chart on this page. If fewer than three sign up on TourneyX for the event by registration deadline, the competition will be cancelled, registration fees refunded in full, and the tegistrants will still qualify for the Pro Tour Championship. That adds up to $350 per event. Four events at $350 would normally cost $1,400, and six would be $2,100. Pay up-front for four 2019 Pro Tour events and save 10% ($140) or for six and save 15% ($315).